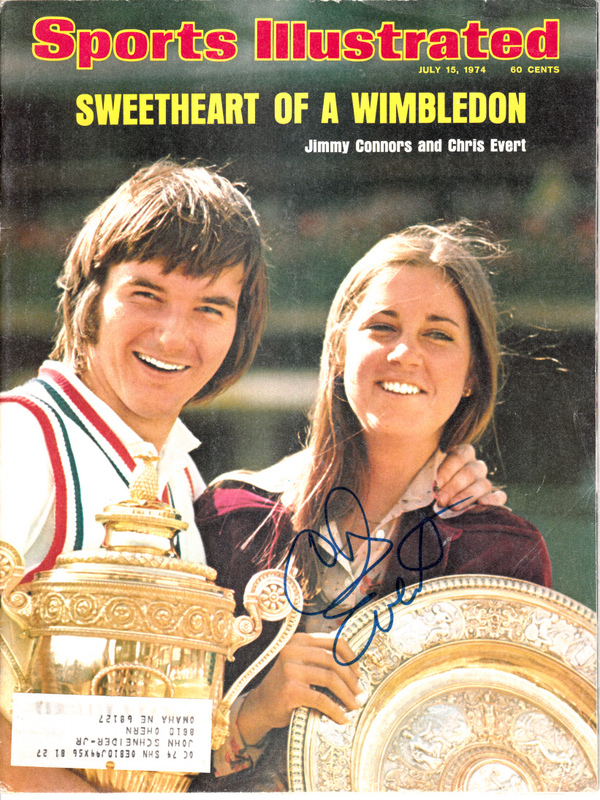 Complete 1974 Sports Illustrated featuring Wimbledon champions Jimmy Connors and Chris Evert on the cover, autographed in blue marker by Evert ONLY. Obtained in person, with certificate of authenticity from AutographsForSale.com. 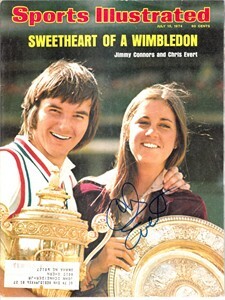 Has subscription label plus minor flaws and wear, but in good condition for its age. ONLY ONE AVAILABLE FOR SALE.